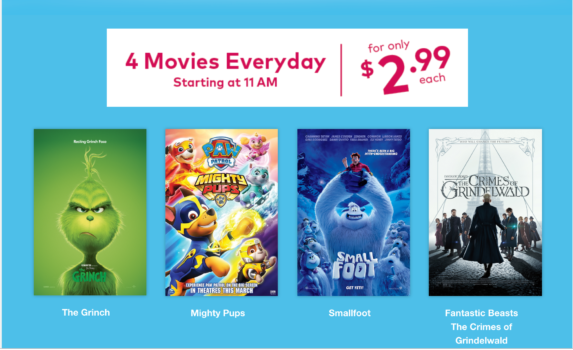 Spring Break is this week and there 8 movies that you can take the kids to for just $3. Taking place at both Landmark Cinemas as well as Cineplex theatres get all the details below! Landmark Cinemas will be showing 5 different movies for their March Movie Break. Movies times depend on the the location and you can get all the details as well as purchase your movie tickets online here. Cineplex will be showing for 4 different movies for their Family Favourites: March Break. Starting at 11 am each day get all the details on participating location as well as purchasing tickets online here. Not sure what else there is to do with the kids during Spring Break? Check out the full list of things that you can do with the kids during Spring Break around Edmonton here.